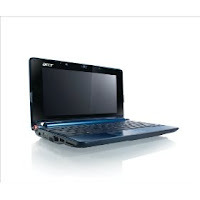 With the tough economy, people are giving netbooks a serious second look. A netbook is a small to medium sized, light-weight, low-cost, energy-efficient laptop, ideal for online services like web browsing and e-mail. These are phenomenal alternatives to more expensive computers since they normally run under $500! Small business owners looking to save money should definitely look at netbooks as a serious alternative. When moneyt is tight you have to make every dollar work twice as hard. With netbooks , you win a serious advantage. You get all the power you need for most work. If you are running CAD software or you are editing movies, this is not the device for you. But most don't perform those kinds of high intensity jobs. For your standard computer user, the netbook provides all the capability they will ever need. But more importantly, netbooks are a preview of what to expect. The era of being tied to a single computer is over. The computer will very shortly become a cheap appliance that connects us to the internet. Information is what matters, or as they say, content is king. Who cares what computer you use to get your information? Every computer could be your computer.